National Science & Engineering Week (NSEW) 2013 starts today and is now a mainstay in the UK events calendar. Initiatives like this have led the cultural shift towards science being ‘cool’, and people are now ‘getting their geek on’ in droves. NSEW has been going for nearly 20 years now and it’s an excellent excuse for us all to take part in something scientific that relates to our daily lives. At the Met Office, science is our daily lives, so we’re very supportive of this initiative and will be celebrating the week with the rest of the UK. In fact, to show the strength of our support we’ve created a new game ‘eVACuate!’ for people to play at home or in classrooms across the country. Based on our volcanic ash forecasting responsibilities, teams are tasked with advising the Centre for Emergency Situations with the evacuation efforts on the fictional Green Island, where FitzRoy’s Peak has started to erupt! As the UK’s national weather and climate service, we take every opportunity to help people understand what we do and how we do it. Having a game based on mapping volcanic ash clouds highlights the vital role we play in providing weather information – and more – for the country. To get involved visit NSEW or play the game. 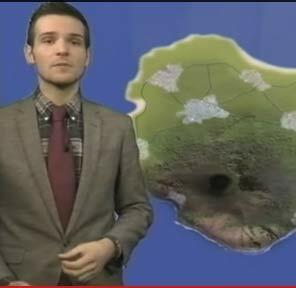 This entry was posted in Met Office News and tagged Met Office, National Science and Engineering Week, NSEW 2013, volcanic ash. Bookmark the permalink.